China has during the past five year experienced explosive development in the Intellectual Property field. The country has implemented its national IP strategy and its application volume of trade mark, patent and design has ranked no. 1 in the world for the past four continuous years. The country thus presents a gold mine for IP research and education for the Centre for Intellectual Property Policy and Management (CIPPM). Thanks to a Fusion SMN funds awarded in July 2013, CIPPM researchers Lingling Wei, Ruth Soetendorp and Fabian Homberg have conducted a series of visits in Beijing, China, to explore the opportunities. The activities in China consisted of three parts. 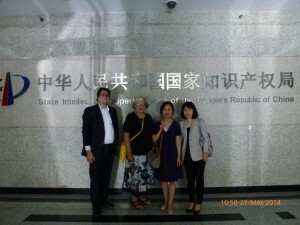 The first one was a meeting with State Intellectual Property Office of China (SIPO). 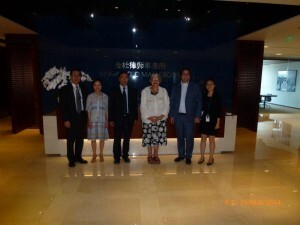 The meeting was supported and arranged by IP attaché of British Embassy at Beijing. Officials from the SIPO and its research Centre attended the meeting. During the meeting, we showcased our research and education excellence in the IP field. A delegation from SIPO, Ministry of Education and Ministry of Human Resource and Social Security of China will visit CIPPM soon after the summer. The Research Centre of SIPO has also shown interest in organizing a joint workshop with and hosted by CIPPM to discuss the IP issues in China. We are greatly encouraged by the news and believe our hard work will open the door to research and education collaboration with the State agencies of China. The second activity was a joint workshop hosted by the Management School of University of China Academy of Science (UCAS) with the central theme of IP and Innovation. The workshop was a great success. It was attended by the top IP scholars from China Academy of Social Science, and the IP department of UCAS and other institutes, previous chief IP judge at the Supreme Court of China and researchers from the research centre of SIPO. We presented our research in IP education, management and policy making with a very good response. The Chinese scholars’ presentations also gave us insight on the Chinese IP education, research and the academic funding structure. The workshop enabled us to build direct contact from IP scholars from China Academy of Social Science. The discussion at the workshop made both sides see more clearly the opportunities for collaboration in research and education, which we will certainly pursue further. In particular interest has been shown in Bournemouth University contributing to the UCAS Management School’s summer school and in offering IP management modules that might be available for their postgraduate students. 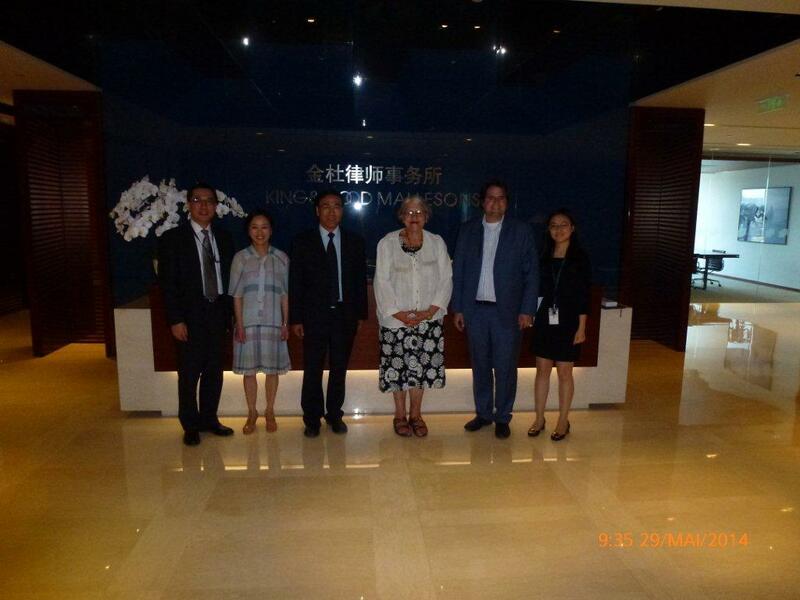 The third activitiy was a meeting with the senior partners from King and Wood Malleson at its Beijing headquarter. King and Wood Malleson has been ranked as NO. 1 Asian law firm and NO. 15 worldwide. CIPPM has maintained good relationship with IP law firms in the UK, which enables it to make its IP resources accessible to industry and increases the impact of CIPPM on industry. Our visit to the major China law firm was expected to extend CIPPM’s influence to the IP industry in China. The meeting was agreed by both sides as a very good encounter. The three activities have opened the door to the opportunities for research and education and for creating impact on the industry in China, which is not only a newly emerged global economic player but also a state eagerly reaching out for new knowledge and skill. We are aware of the challenge to materialize the opportunities. Hard work is required for trust building and for research and discussions for clarification. New plans are being put in place to follow up, including seeking the funding for future activities.